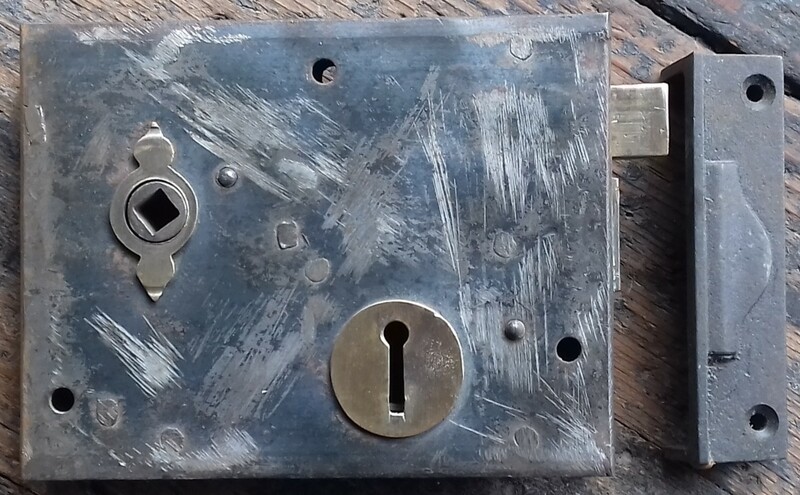 Victorian steel & brass rim lock with replacement keep. 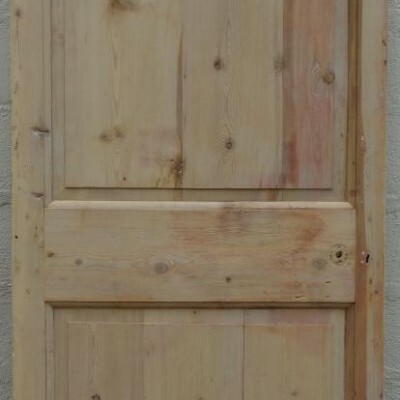 Georgian 2 Panel Pine Door. 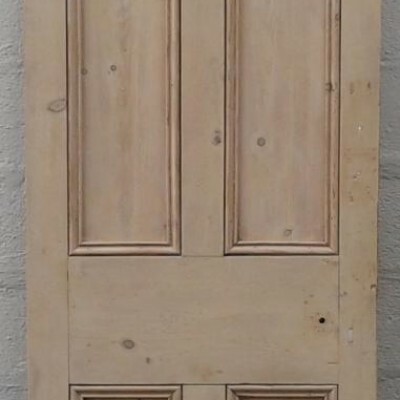 Victorian Pine 4 Paneled Door. 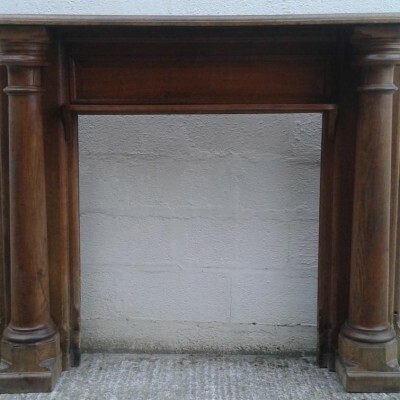 Antique Solid Oak Fire Surround.